Resende said that Cuba demonstrated early on that it is possible to fight hunger with political will. Cuba is an example to the world in fighting hunger, the Food and Agriculture Organization of the United Nations (FAO) declared Wednesday. 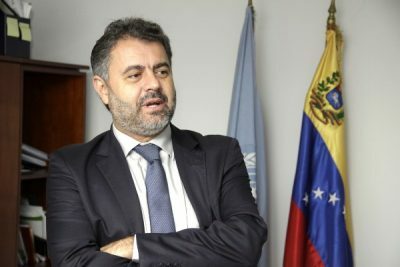 FAO’s representative in Cuba, Marcelo Resende, said during an interview with the country’s Round Table television program, that Cuba leads in the promotion of agricultural production in the country and the world, as well as the democratization of land tenure, with agrarian reform being a cornerstone of the Cuban Revolution. Currently, there are 800 million people around the world who go hungry despite the fact that food production is seven times higher than the needs of each person, which is due to the lack of political will, pressed the representative. Resende recalled the words of the late revolutionary leader, Fidel Castro, where he had remarked, that from the millions of children who go hungry in the world, none are Cuban. The representative also highlighted the FAO’s extensive collaboration with the Caribbean island, especially in the areas of natural disasters, hurricanes, seed production. However, he added, FAO has continued to learn more from Cuba than vice versa, even when the FAO has provided technical assistance.